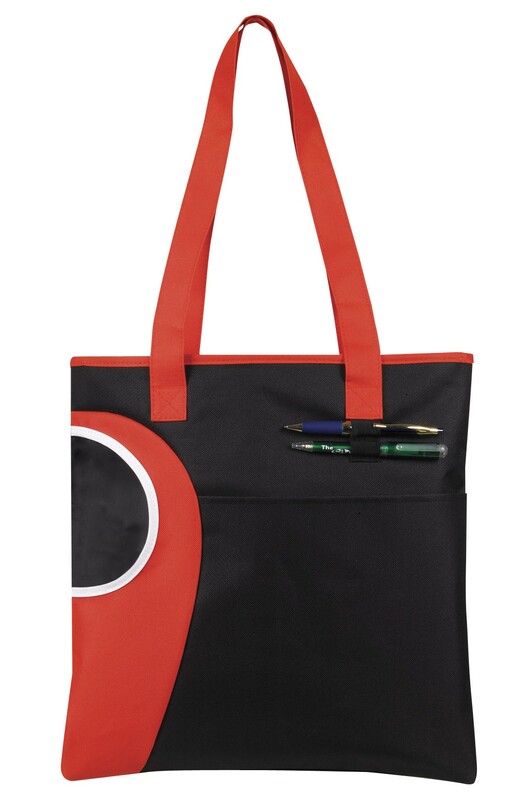 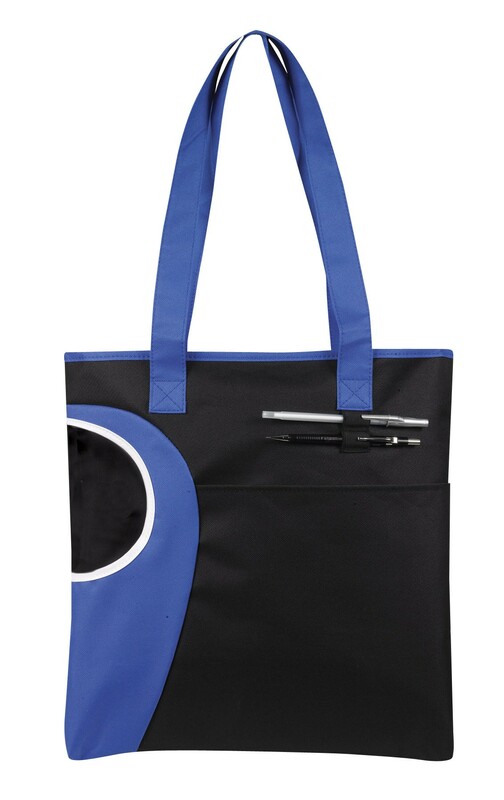 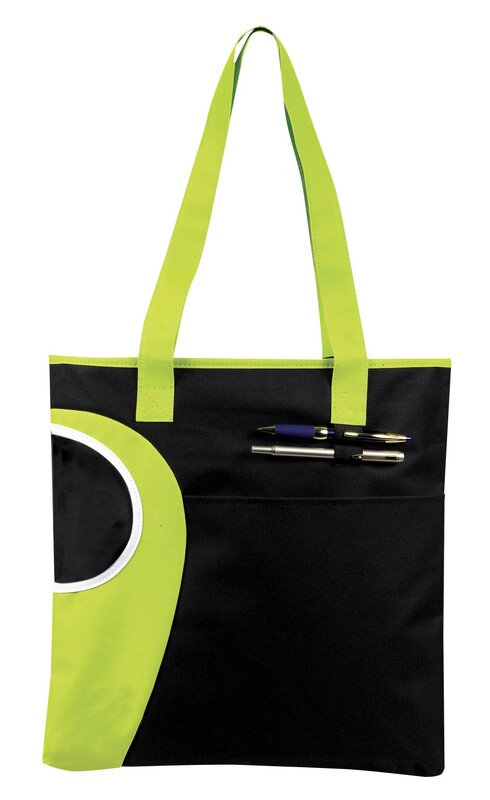 Beautiful lines and bold colors, the Ripple Tote is trendy and hit with four new colors. 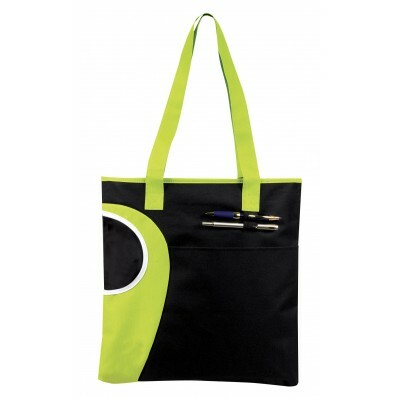 With a black background and brightly colored handles and design, one cannot help but to fall into this design. 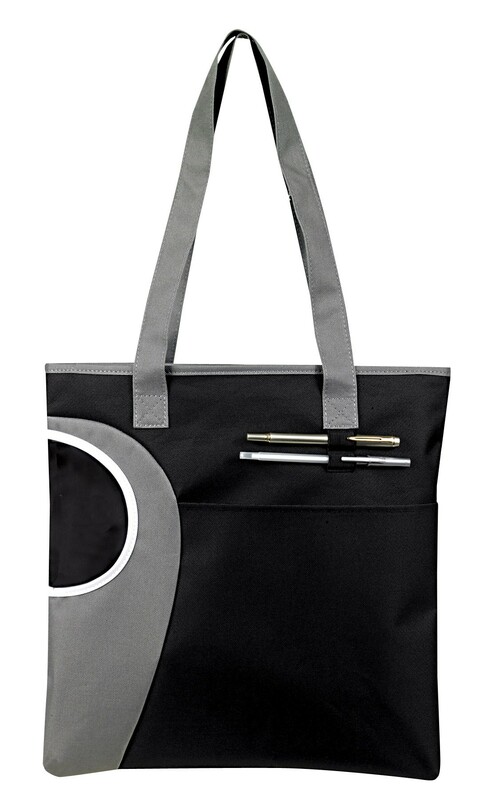 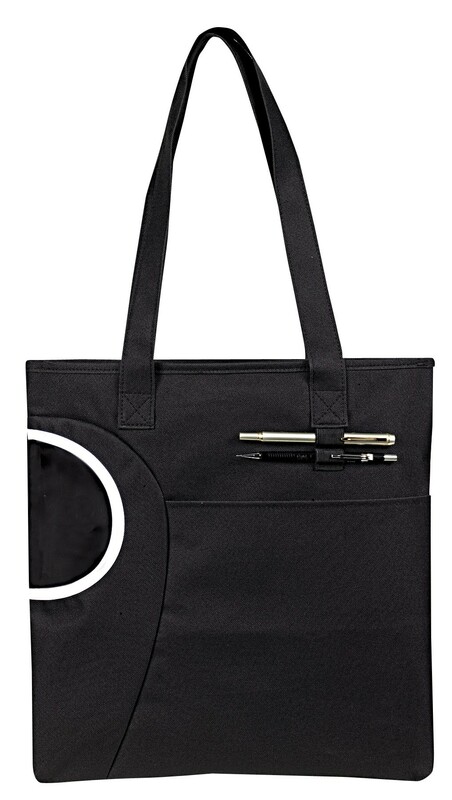 Also, with two pen loops (pen holders), a secure zippered main compartment, and a water bottle compartment, this bag beats its competition!